Our awesome God created everyone with unique abilities and talents to help serve our brothers and sisters in Christ. Sometimes we’re not even aware of the talents that we’re given by God until we run into different struggles in life. Give God thanks for all He has given you. Your talent can be your special personality, your ability to give kind words, musical ability, determination in life, giving, preaching, wisdom, compassion, teaching skills, charisma, communication skills, or anything you’re good at. Be wise and put them into use to help others. We are all part of the body of Christ. Stop letting God’s gifts to you catch dust. Use it or lose it! He gave them to you for a reason. 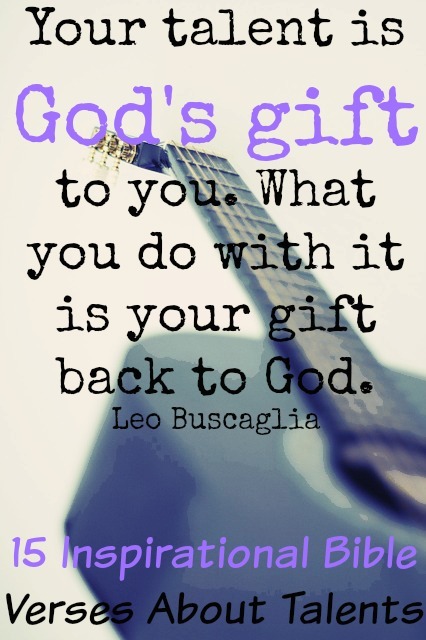 How are you using your talents to glorify God? Be careful and remain humble. Help the body of Christ. Next: Does God Love Me?